Designed from the ground up for drone mapping. Swift Ground Control Station (GCS) is how you pre-plan and control Lynx, Lynx VTOL, and other MAVlink drones in flight. It features a sleek and simple touch screen interface that is ideally suited for field tablets, and requires minimal computing hardware to run. 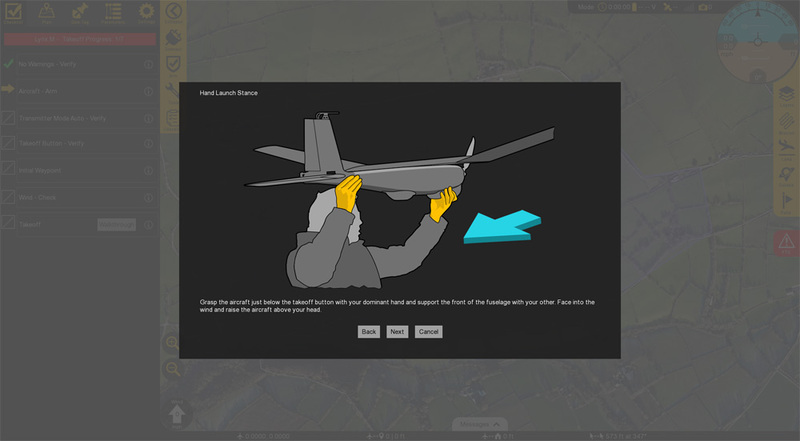 New users are guided through the flying process via the built-in checklist and preflight steps. 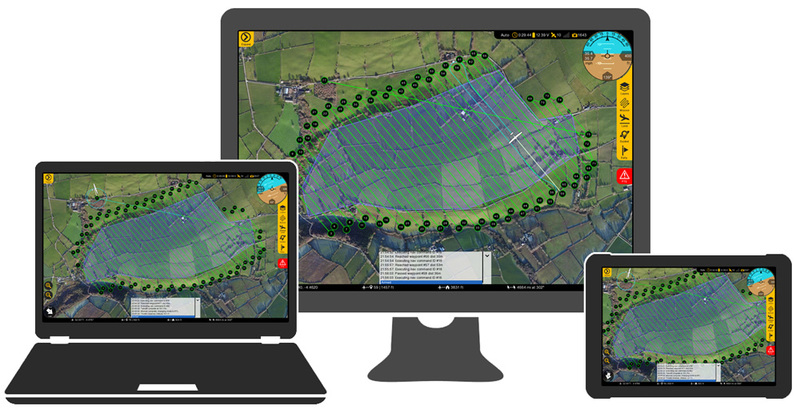 Survey planning is fully integrated with intuitive controls and drag-and-drop waypoints. 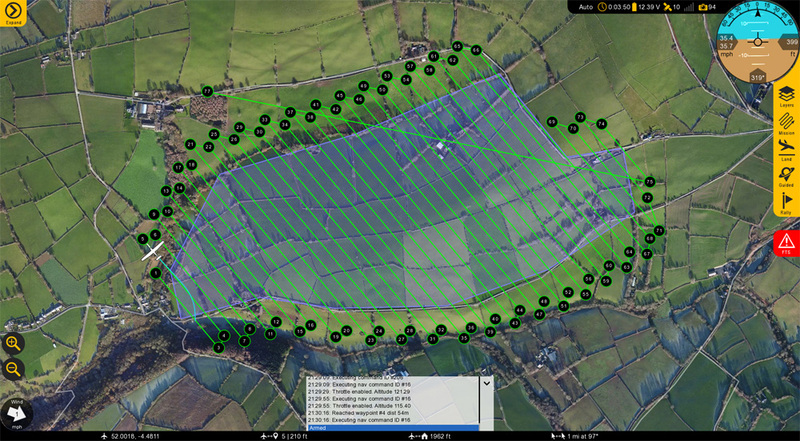 Mapping an area of interest with Swift GCS is a simple process. 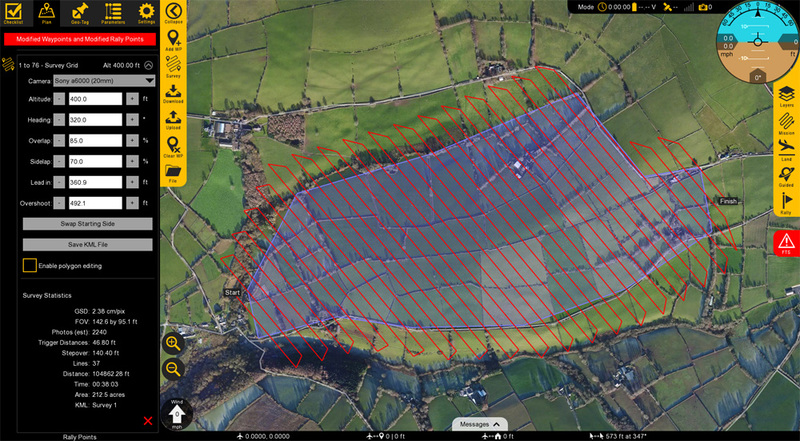 Create a polygon from scratch with drag and drop points, or import a KML using the KML to survey tool. New areas drawn can be saved for future use. Adjusting options such as altitude, heading, and overlap will update the survey grid in real-time and can be tweaked at any point. A survey summary displays useful information such as the area size, photo count, and estimated flight time. Increase safety, user friendliness, and reduce preflight time with a built-in checklist. The integrated checklist features automated preflight steps and an illustrated walkthrough to help new users. While the primary purpose for flying will be to survey and map an area, other flight modes may be needed depending on the situation. Swift GCS gives you control in multiple ways. During a survey or mission, you can change which waypoint the aircraft is heading to, or restart the mission entirely. Other modes, such as Guided, enable control via point-and-click waypoints that are created separately from the mission. In Guided, the aircraft will fly to your point and, upon arrival, loiter there until instructed otherwise (unless a failsafe is activated). The flight mode Rally will send the aircraft back to home or a rally location and loiter. This mode is also triggered automatically for certain events such as loss-of-link. See more before you fly. 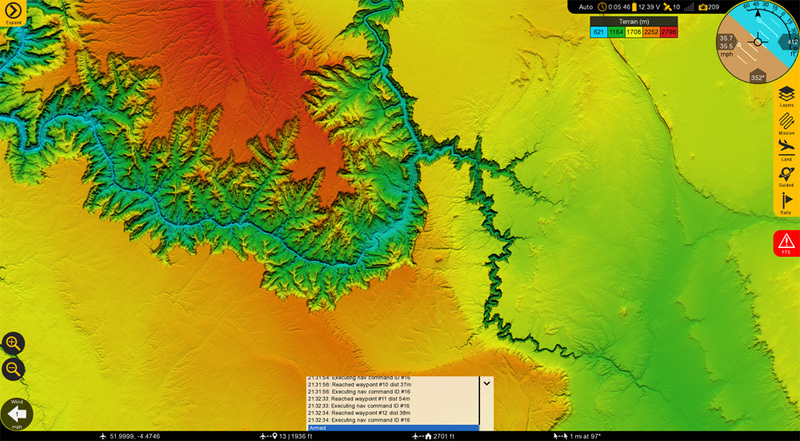 The terrain elevation layer provides insight to where you fly before takeoff. Understanding the surrounding terrain can be critical for safety and planning purposes. Swift GCS can be configured to your specific system with customizable checklists, mission planning, and system settings. Utilize the internal updater to deliver improvements directly to customers.